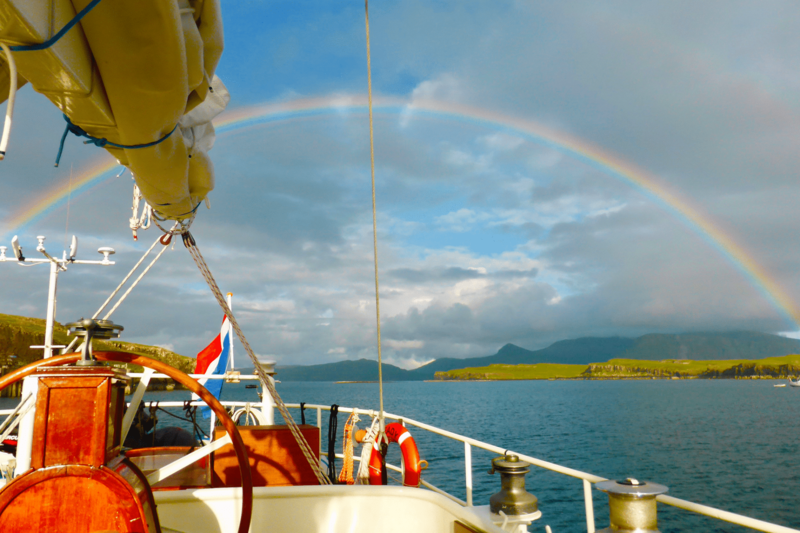 7 days of gentle sailing and walking from Corpach, just North of Fort William, to Oban. Steady will sail, true to her name, over some of the west coast’s most beautiful lochs and give you the opportunity to go ashore for some wonderful woodland and beach-style walks. Starting in Corpach at the foot of Neptune’s Staircase, your journey will see Steady sail many sheltered lochs on a gentle voyage to Oban – a wonderful way to experience the natural beauty of the Highlands. We sail close to the coast at all times so there’s lots of opportunities for some light walking, which we highly recommend. We’ll be spending most nights in serene and quiet anchorages – Marinas are few and far between in the Hebrides. Being away from the trails and tribulations of civilisation provides a welcome break for most people. The calm waters of the lochs provide the ideal opportunity to spot some wonderful wildlife too – a true highlight of this area. You are welcome to join us from 3 pm onwards – you still have plenty of time to see Neptune’s staircase or to stroll along the towpath, exploring the Caledonian Canal. We’ll show you around, giving you a short safety talk (this is highly important information to know in an event of an emergency) and then settle down for a beautiful home-cooked dinner, raising a glass to the week ahead. Day 2 sees us going through a sea lock and washing though a bottleneck which has spectacular tidal streams. We’ll be catapulted through to the beautiful Loch Linnhe where we can sail and spend the night at a tranquil spot near Lismore. Loch Spelve is located on the east-south side of Isle of Mull and is home to the sumptuously fat and creamy Mull Mussel – your dinner for tonight! 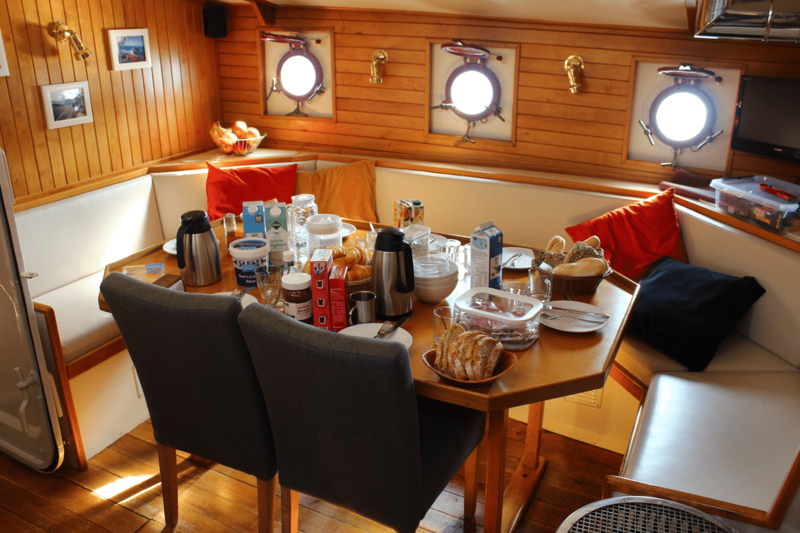 We leave early from the Loch and have breakfast at sea, meaning a slight change in temperament of the voyage – take the opportunity to get stuck in with the sailing. Keep a lookout for dolphins and porpoises now that we’re in open water. Our arrival in Oban around lunchtime marks the end of the passage.